Hold the Power button till the ear cup LED lights up. The initial green LED light indicates the battery level. The blue light is the default color. The built in LED will display solid Red and will only turn off when fully charged. 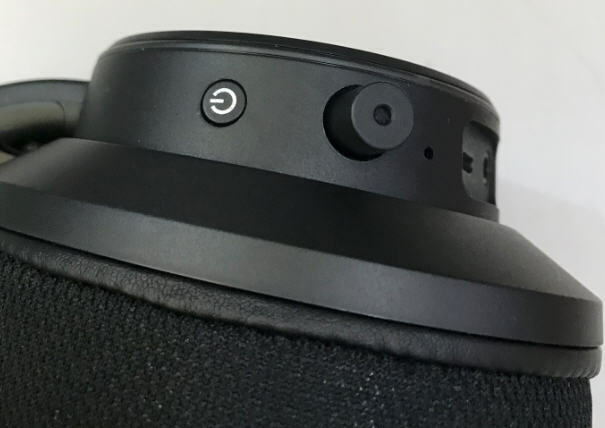 Press and hold Power button to indicate battery level via the ear cup LEDs and a voice prompt. Battery level is also indicated in the SXFI AIR app. SXFI AIR will turn off automatically after 10 minutes of inactivity. SXFI AIR will start charging automatically when connected via USB to a power source EXCEPT in USB/Mass Storage Mode. 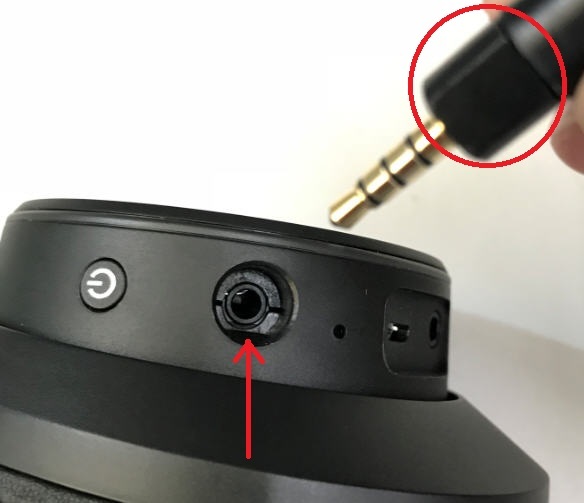 Locate the latch indicated by the arrow in the microphone jack on the SXFI AIR. 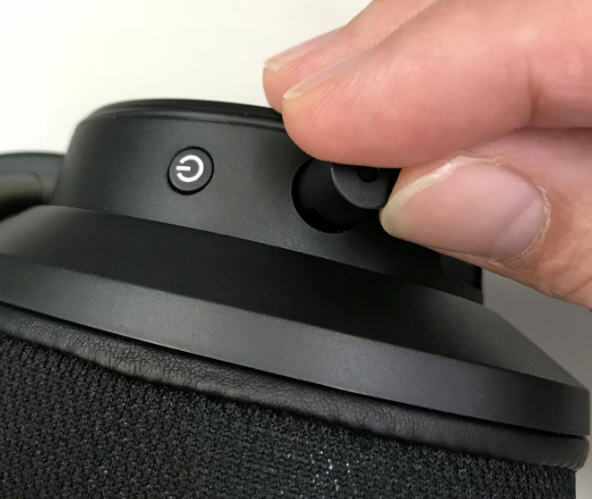 Align the groove indicated by the circle on the NanoBoom mic to the latch. Gently press the NanoBoom mic into the jack. The NanoBoom mic is now properly inserted.